WELCOME TO OLD ABBEY DANCE STUDIOS…. 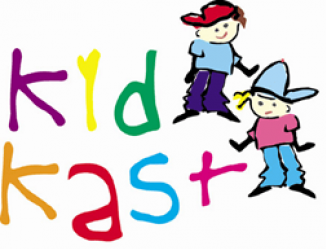 Kidkast has been at the centre of Performing Arts training in Ireland since 1999. In 2006 we opened our studios here in Old Abbey Lane and provided a professional venue for our students to train in, and a home for our Kidkast family. Our teachers are professional, trained, are all experienced and have been with Kidkast for many years, some of them since we started. They know the students inside out, and provide consistent, personal attention to each and every one. We are very proud that last year Kidkast was recognized as a Vocational, Educational body as we provide students with the tools, technique and attitude to pursue a career in performing arts if they so decide. Kidkast training and the confidence it brings also contributes to any career or life path chosen by our students. What we provide is a Safe environment for your child/young adult, where they can learn and you can rest assured that they are getting the best tuition …. Our Coffee Dock facility allows parents to relax, have a coffee and little time out while students are in class. OLD ABBEY DANCE SHOP Now Open in Old Abbey Dance Studios stocking all major dance brands. You can order any items by phone, email or by calling in to our shop. Shop opening times coincide with class times in the studios. ALL STUDENTS MUST HAVE THE CORRECT FOOTWEAR FOR EACH CLASS. Senior Jazz students (age 13+) must have both tan & black split sole jazz shoes before next years show. Ages 6-12 Song and Dance, Dance or Jazz Dance students must have black split sole jazz shoes. For students to truly work to their best potential the correct attire should be worn. Correct footwear, in particular, is crucial to a student’s development. If you are unsure, don’t hesitate to ask any of the teachers to see what they suggest. We have a dance shop on site and all clothing and footwear is available at high street prices for your convenience. PLEASE NOTE IMPORTANT CHANGES TO CREW NIGHT: Crew Rehearsals take place on Thursday evenings. October 6th – 9th 2017 All Ireland Hip Hop Championships in Trabolgan. NOTE: NO CLASSES ON SATURDAY 7TH OCTOBER IN OLD ABBEY!! FLEXI FRIDAY class is available to all dance students free of charge from 5.30 – 6.30 each Friday. This class concentrates totally on strength and flexibility. NEW ADULT MUSICAL THEATRE CLASSES We are currently running an Adults Musical Theatre class every Wednesday from 7-8. Classes €90 for 10 week term. Teacher is Sarah Louisa Nolan, who also teaches our junior Drama & Musical Theatre students. Come down and get involved!